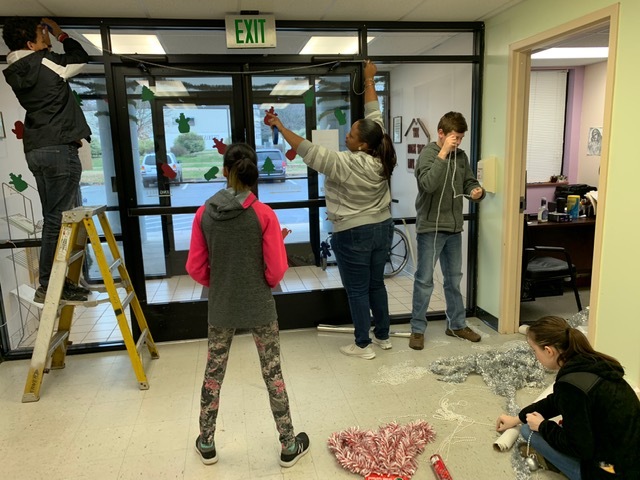 Salem Fields Community Church brought some of their Youth Group in to decorate The Brisben Center with lively Christmas decorations. They provided a festive mood for all and the Center looks wonderful. Led by Ms. Melanie and supported by Pastor Trent, we are very grateful! !